It’s hard to define and recognize a cuisine in today’s mobile society. People move about and take with them dishes from one cuisine and mesh them into another. The lines have blurred. Cajun and Creole are prime examples of this. The distinction between the two was pronounced at one time. Now, the differences are barely recognizable..
Southern food is undergoing a bit of an identity crisis. It’s not that Southern food can’t figure out who it is but rather that some folks have confused authentic Southern food with modern adaptations that include convenience foods which weren’t available to early day Southern cooks such as processed cheese (spread and block versions), non-dairy whipped topping (tub and aerosolized can versions), commercially prepared cream soups, packaged dry soups and cake mixes. 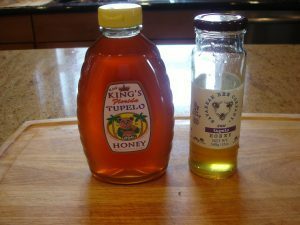 The ever-increasing reliance upon these convenience items in Southern kitchens has led some folks, who regards themselves as culinary authorities, to describe Southern cuisine as lazy, “dump and stir” and undignified. People who only see my native cuisine through that prism are uniformed. Southern food often falls prey to culinary elitism. I think its honor and dignity is worth defending. Southern kitchens are not immune to the” fast past, always running behind, trying to be in three places at once” lifestyle. Rulers of the Kitchen Kingdom must sometimes rely on quick-fix meals and convenience items to lessen the time from stove to table. The use of convenience items may be the difference between gathering a family around the kitchen table and everyone going in a separate direction and not sharing a meal. Some of those items have made their way to my kitchen. They have a place in our world. 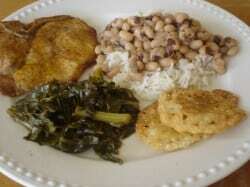 Because the South was an agrarian society, authentic Southern cuisine focused on lots of fresh fruits and vegetables. 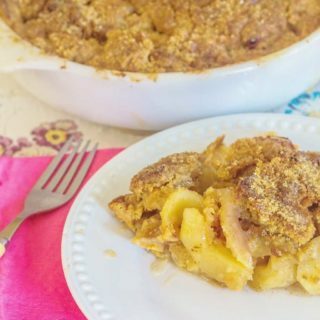 Meals would consist of large bowls of steaming seasonal vegetables seasoned with butter, bits of smoked meats or meat drippings, breads such as biscuit or cornbread and fruit that was preserved or cooked into pies, cobblers or cakes. There’s no denying the Southern sweet tooth and the dessert was considered part of the meal. 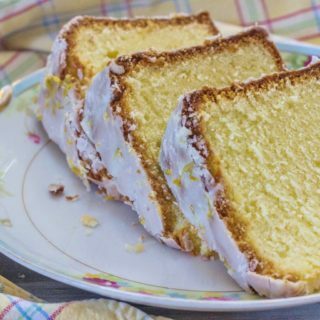 If fruit wasn’t available, a pound cake would serve as the sweet portion of the meal. Despite its status as a Southern icon, Fried Chicken wasn’t an everyday occurrence. Chickens were prized for their eggs. Once a hen had become too old to produce eggs, you could expect she would be stewed in a large pot with either rice or dumplings added to stretch out the meal. Fried Chicken was reserved for a very special occasion because the chickens small and tender enough to fry were still in their egg laying prime. Beef wasn’t a mainstay of the Southern diet. Cows were kept for milk which could be turned into butter, cheese and buttermilk as well as supplying sweet milk for drinking and cooking. Pigs were a more practical food source. They required much less room than cows, took less time to mature and very little was wasted once butchered. “Everything but the squeal” would be used. The meat was for breakfast food and seasoning. Fat was rendered for cooking. Prior to refrigeration, very little of the pork would be eaten fresh. Aside from the hams, most of it was ground up for sausage meat. Hams and sausages would be cured and smoked to increase their shelf life. Occasionally, wild game might provide a protein source. Small animals, such as rabbit and squirrel, were cut in pieces and cooked in gravy to stretch the meal. 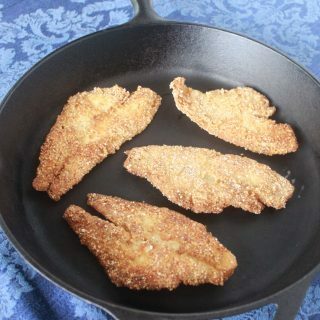 Rivers and lakes would offer up fish to lucky fishermen. 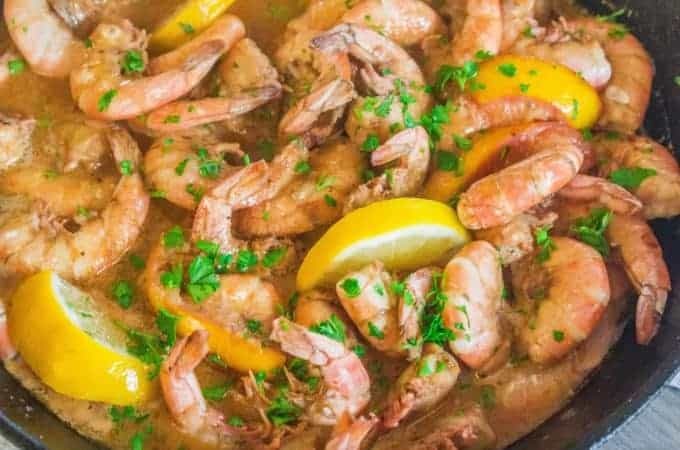 Residents of coastal areas might enjoy shrimp and oysters. 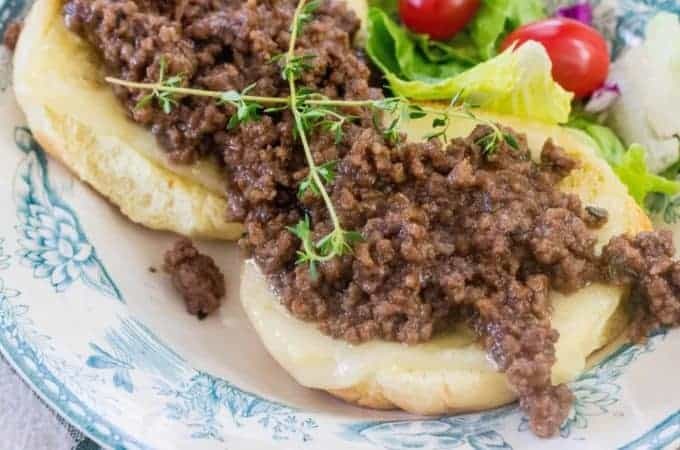 Rustic Southern cuisine was unpretentious, seasonal, flavorful and dependent on the bounty gathered by the hunters and farmers. Much of the South was poverty-stricken and the citizens raked and scraped together food the best way they could to feed their families and themselves. They relied on their survival skills and practical approach to living in order to get by. Cooking lessons, recipes and tips were passed down generation to generation. What food they had was shared with family, neighbors and strangers. Even during lean times when food was scarce, they gave thanks for every bite they put in their mouth. The simple nature of rustic Southern food mirrored the simple life led by the people of the region. Rich sauces and complicated dishes with romantic names were simply not consistent with the lifestyle. By some, this simplicity has been interpreted as being undignified. Brothers and sisters, if dealing with your circumstances to the best of your ability using the only resources available to you while maintaining a grateful heart is undignified, then dignity is highly over rated. The fruit ingredients will likely change each time you make this salad. Choose the best fruit you can find. 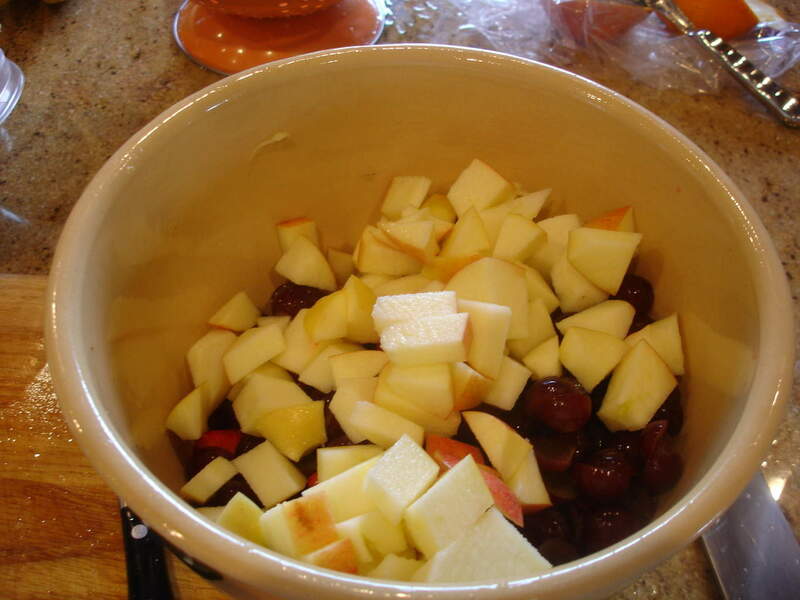 In the eyes of my mother, a celebration at our house wouldn’t be complete without a good fruit salad. 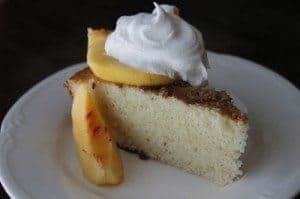 You don’t need sugar or heavy cream if you use the best seasonal fruit and the best honey you can find. The ingredients will necessarily change according to availability. The dignity of this fine dish is in its simplicity. Juice one orange and mix with honey. Set aside. Peel and chop the remaining two oranges. Add to large bowl. 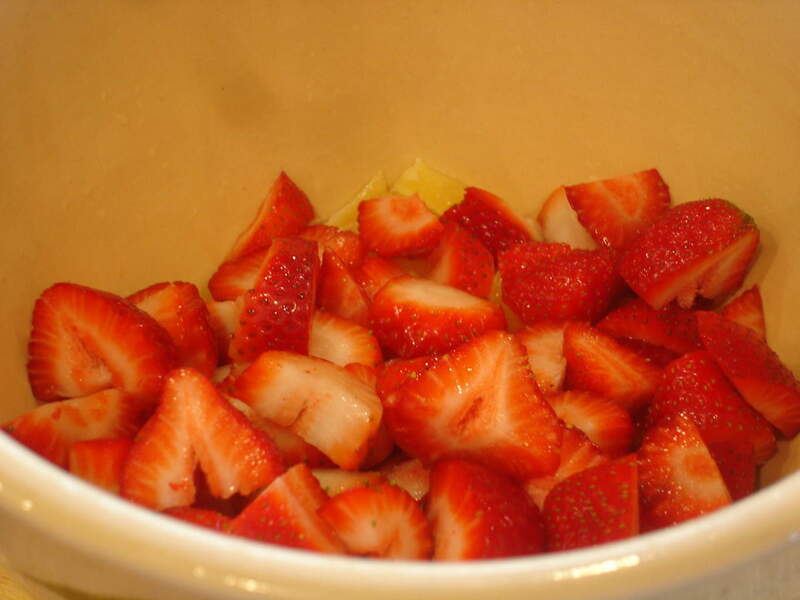 Wash, hull and chop strawberries. Add to oranges. 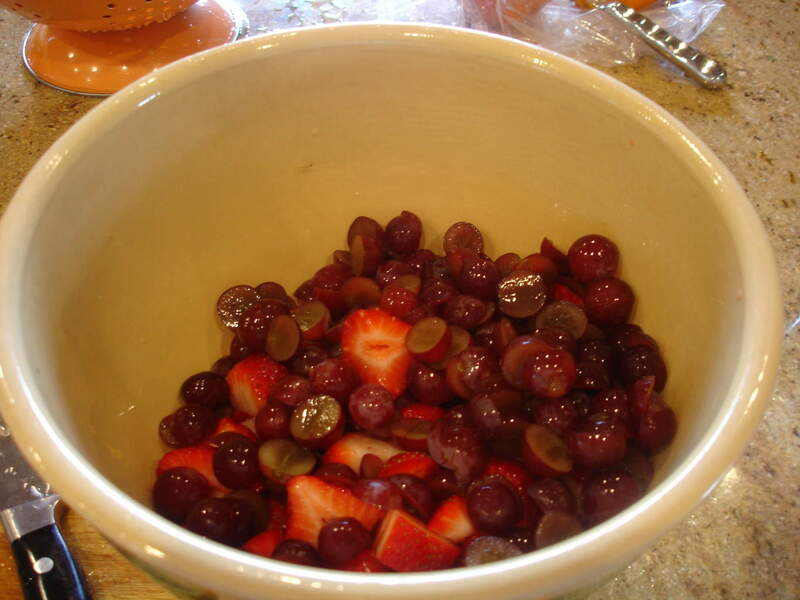 Wash and halve grapes. Add to bowl. Be sure to use seedless grapes. Wash apples. I peel one and leave the peeling on the other for added texture, color and flavor. Chop and add to bowl. Peel and slice bananas. Add to bowl. Slicing is better than chopping. The more surface that’s exposed, the quicker they will turn brown. Pour orange juice and honey over fruit. 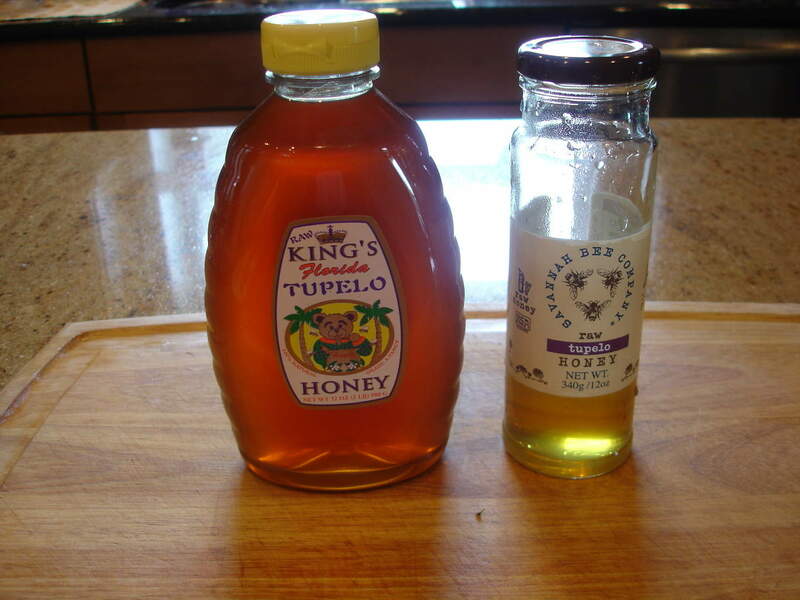 My favorite honey is Tupelo. Shown below are two outstanding brands. 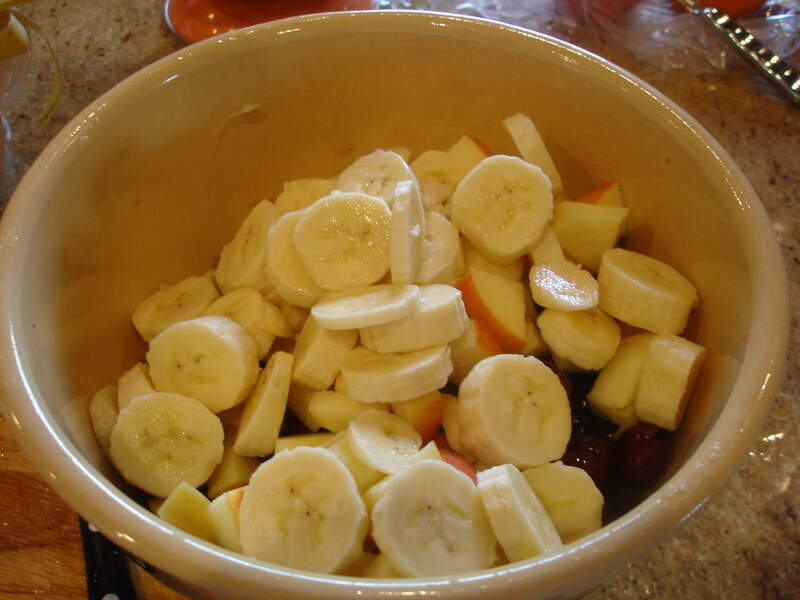 The acid in the orange juice will help keep the bananas and apples from turning brown. Gently stir to make sure all the fruit is coated. 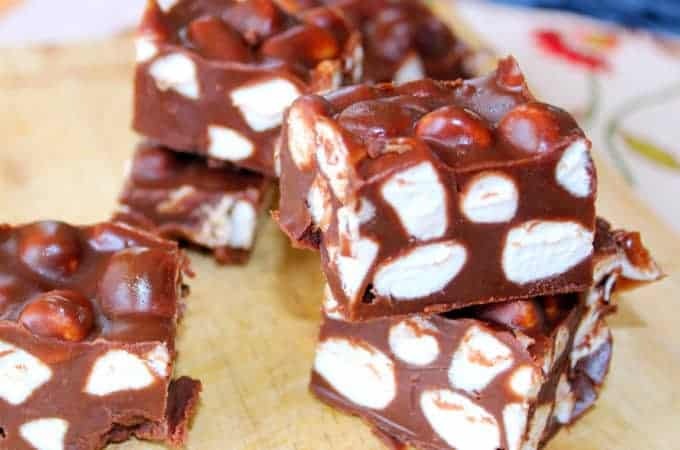 Adding coconut and chopped nuts (I prefer puh-kahns) is a nice addition. I left both of those out because I made this dish to take to a gathering and so many people have tree nut allergies. Chill well before serving. Isn’t it simply beautiful? 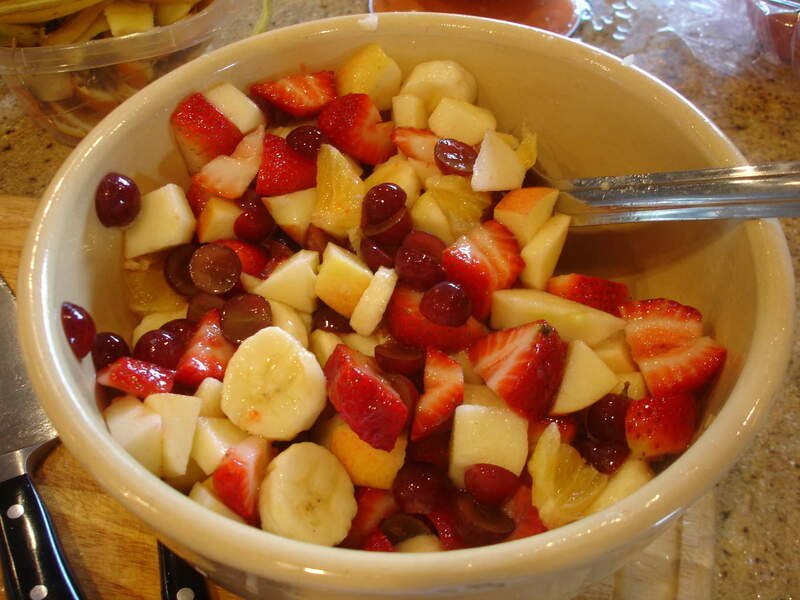 Simple Fruit Salad. Fruit and honey, occasionally nuts. Nothing more. Nothing less. 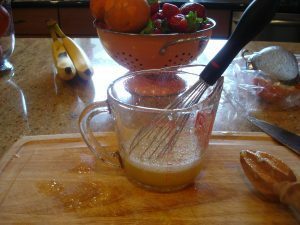 Pour orange juice and honey over fruit. 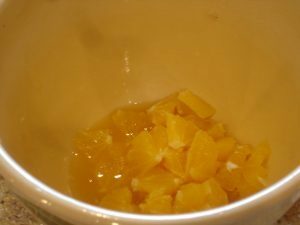 The acid in the orange juice will help keep the bananas and apples from turning brown. Gently stir to make sure all the fruit is coated. Adding coconut and chopped nuts (I prefer puh-kahns) is a nice addition. Amen and hallelujah, Miss Jackie! I want to be able to write like you when I grow up. You and Rick Bragg and John T. Edge and all manner of folks like that. And, as usual, you bring tears to my eyes. Love you dearly! I’m find it awfully humbling being mentioned in close proximity to Rick Bragg and John T. Edge. I admire both of those writers and their commitment to our culture. Thank you so much for taking the time to read and comment. I am very appreciative. Jackie – so true – somehow fruit salad was reserved for Christmas only when I was little. My daddy would peel all the fruit and cut it up for my Mama, who was busy making all the stuff for Christmas dinner. I do try to have it more now because I truly love it and there are so many variations you can come up with! Think I’ll see what’s in the frig – I think I have everything but bananas! Thanks for sharing! 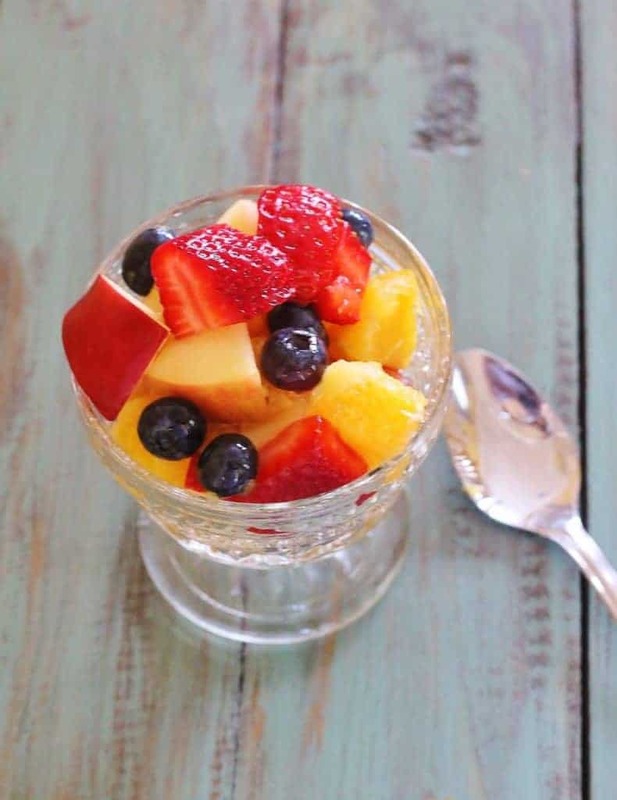 I like to keep a bowl of fruit salad in my refrigerator, too! You are so right about the variations. The possibility of combinations are endless. …and all God’s people said, “Amen!” You have done a magnificent job of explaining our culture, and done it beautifully, as well! I’m new here, but so grateful to have found you. Thank you so much for taking the time to read and comment. It’s heartwarming to hear from another Southerner. As always….you came through with style and class worthy of our culture and family. Couldn’t have said it better Jackie and the fruit salad is spectacular. Keep the good words coming!! Great post! This is something that has been on my mind, and has certainly been “in the news” lately. You sum it up quite nicely — definitely going to share! Nice article, Jackie…very well explained! And the fruit salad looks divine! Truer words never have been spoken. We Southerners were locavores before it was cool. Though my grandma fried a lot of chicken, I think she killed the “pullets,” (?male chickens before they reach roosterhood? LOL). and by her magic alchemy changed them into fried chicken that you cannot get anymore — organic chicken flavor comes close. We ALWAYS fought over the pulley bone. I mentioned to my husband just a few days ago that people don’t separate the part of the breast that contains the pulley bone anymore. I don’t understand why that fell out of favor. My Granny always did that and we would fight over it, too! And I to clarify to younger readers, we weren’t fighting over the pulley “bone (aka wishbone), we were fighting over that scrumptious piece of chicken breast attached to it. I think this is the real tenderloin of the chicken. Yum. 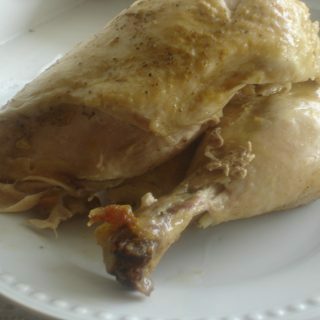 My hubby knows how to cut up a chicken with the pulley bone but we seldom ever cut a whole chicken for frying anymore. Now it has me craving it, maybe we will sometime soon. Just discovering your site and I love it. I am old enough to remember the first McDonald’s in my town so I grew up in a time when fast food was making spaghetti “pie” out of left over spaghetti sauce and spaghetti noodles or making cornbread because you did not have time to make biscuits or rolls. I did not even know that you could buy pimento cheese already made up in the grocery store until I was grown…and having tried it I can’t say that I am a fan. I have many wonderful memories of meals with family and friends. The food was generally plainer then than now (no Thai or Korean food for example) but it was nourishing, tasty and the wonderful memories made around the table are precious! Now, I am passing on recipes to my children and nieces and nephews. 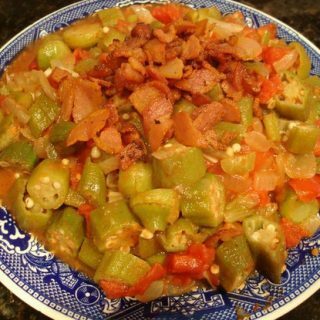 They often call and ask, “How do you make fried okra or some other beloved dish. My nephew learned to cook in my mother’s kitchen and is now a chef at a wonderful restaurant, The Inn at Little Washington. Even though he can prepare amazing dishes any time he wants, he has asked me to help him record my mother’s recipes many of which were handed down from her mother, grandmother and aunts. I am so thrilled to help create this cookbook to pass on. Keep up the good work. I look forward to future posts. I agree with every single word you wrote. Your description of what fast food used to be is right on target. Those are my memories, as well. I, too, remember the first McDonalds in our town being opened. Thank you so much for sharing your wonderful memories. Thank you. Your site does feel like coming home. Yay Jackie!! 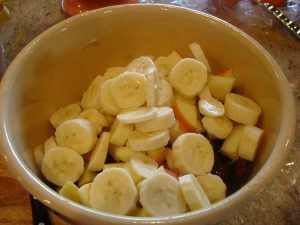 I’m making this fruit salad for my daughter today for after school!! She will love it. I like the orange juice and honey mixture, sounds real good. Hopefully, our society is evolving, cuz it can’t get any worse, when it comes to synthetic, toxic, ‘dignified foods.’ This is where your work comes in and is so important to us and our children. The world needs to get back to the rustic nature of cooking!! 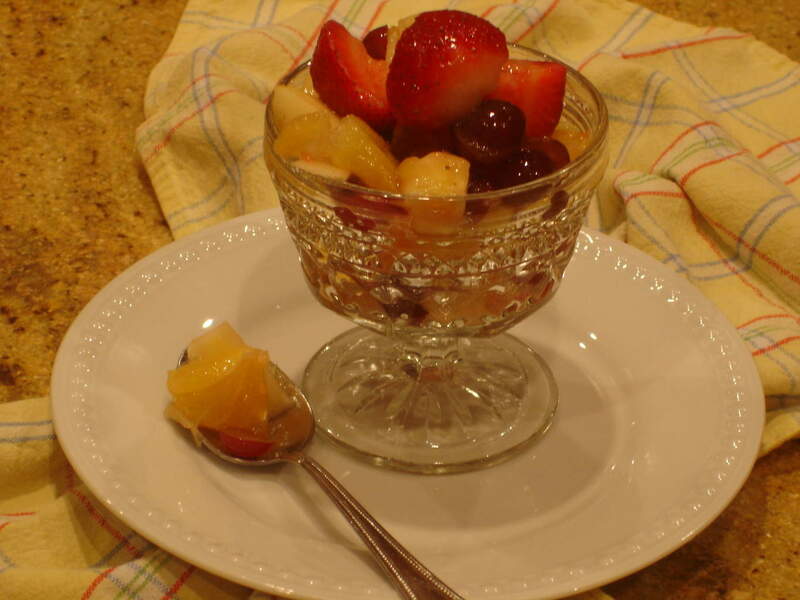 I’m sure Miss Priss is going to love her delicious fruit salad her sweet Mama lovingly made for her! Great post Jackie. I sometimes use mixes and convenience products in my house as timesavers when I’ve been running around like a mad woman! But there’s still nothing like a home cooked southern meal of chicken & dumplings, greens, black-eyed peas and cornbread! Mmmm…I’m getting hungry now! It is so good to have you back! And what a way to come back- what a great blog!! You can always be relied on to tell it like it is!! I love your blogs because they always bring back memories – so thank you for your hard work!! I’ve been around but my email delivery service has been giving me out right fits. I just switched over to a service that I think is going to be reliable. You’ve probably missed a few posts unless you follow on FB, Twitter or Pinterest. Go to the end of this post and you will see the prior posts. Jackie we love this fruit salad! Miss Priss Jamie had two bowls of it yesterday and her friends want some of it today!! I never think to make fruit salad and to have you post one sent me to the grocery store right away to buy the stuff to make it, cuz I know it’s good if it comes from you! I’m so happy Miss Priss loved this salad! Did you teach her how to make it? 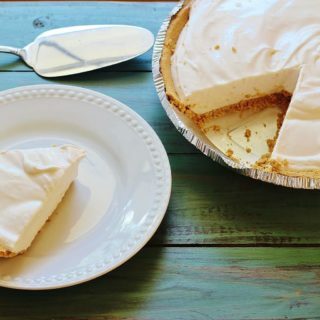 Love your blog, found you on FoodieBlogroll. I like your approach to food. Keep it up. I use to make fruit salads tossing different kinds of fruits, a healthy salad makes your day perfect. Loved your comments and recipe for this salad. This recipe reminds me of the fruit salad that my dear sweet friend, Fern, always made. Like everything she served, it was delicious. She made everything from scratch, grew her own berries and vegetables. She could put together a huge spread for a crowd of people in record time. Served her delicious meals from beautiful old dishes and crocks and cut glass bowls. Usually her table was covered with a bright and cheery oilcloth with glasses of iced tea or lemonade and piping hot coffee that just added to the warm cozy feeling her meals gave you. Need I mention that this was all prepared in a wonderful rustic cabin in Brown County Indiana. I think this atmosphere and her company was simply the icing on the cake! Gee how I miss her! Keep writing, your posts keep memories alive! Thanks again for your recipe! How sweet of you to share that special story with us! Your writing is beautiful! I was right there with you experiencing it as you did. Thank you! It has taken me 54 years, but I think I just figured out something. Remember the year we only got apples, oranges and a few walnuts in our Christmas stocking? Momma must have bought too much for the fruit salad.